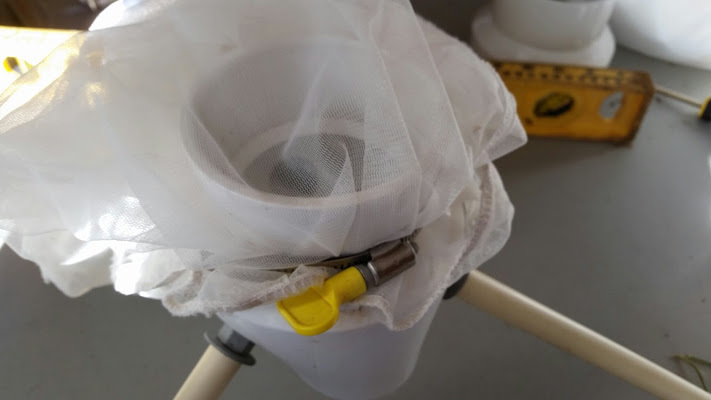 Homebrewers tend to be DIYers, and this hop spider project is the cheapest, fastest, simplest piece of DIY equipment that you can build for your brewhouse. A hop spider is a device that hangs over your boil kettle and suspends the hops into the boil. You can remove the hop spider when the boil is over, which will immediately remove the vast majority of hop matter from your wort. The result is a clearer wort and faster cleanup. I use my hop spider because it removes pieces of hops that might clog my chilling equipment, and it cuts the time to clean my boil kettle. There are lots of hops spider designs out there, but this one is different in because you don’t have to touch hot metal to use it. 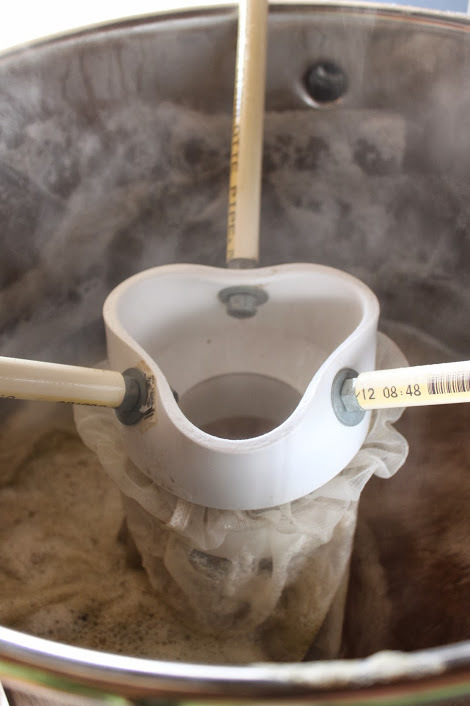 My design uses CPVC to insulate the steel bolts so that you can handle the hop spider after it has been sitting over your boiling wort for an hour or more. 1. Begin by drilling three 3/8″ holes in the 4″ side of the PVC reducer. If you’re not sure about where to place the holes then drawing a line from one hole to the others should form a triangle (or look at the above photo. 2. Place each bolt through a PVC pipe. 3. 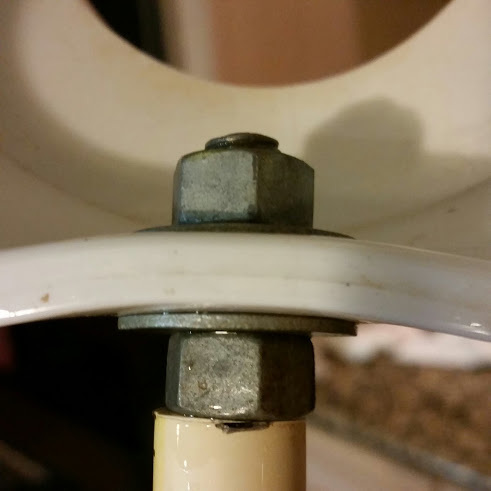 Place a nut on a bolt and tighten down until the PVC pipe is secure. Repeat for the other two bolts. 4. Place a washer onto a bolt and put the bolt through one of the holes in the PVC reducer. 5. Place another washer and nut on the bolt and tighten until the bolt is secure on the PVC reducer. Repeat for the other bolts. The attached bolts should look like this when done correctly. 6. 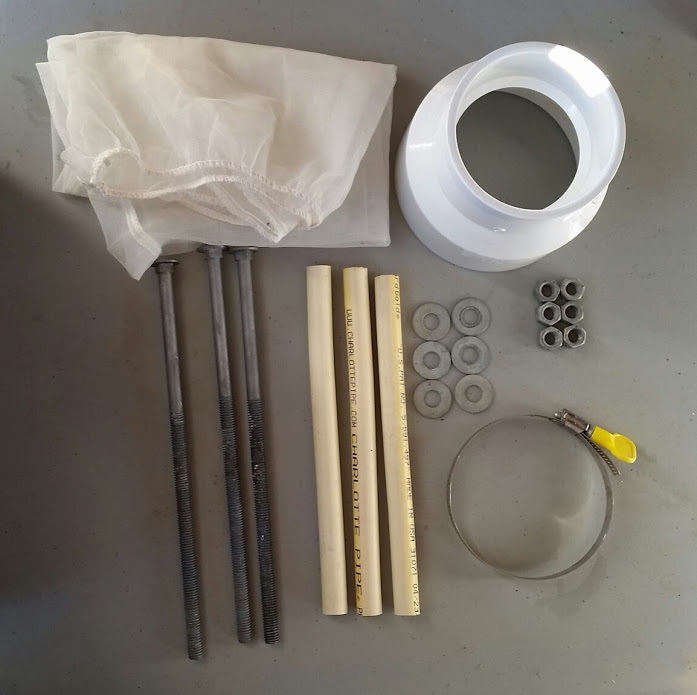 Place the paint strainer bag on the 3″ side of the PVC reducer and secure the bag with the 3″ hose clamp. 7. Place your hop spider over your boil kettle and make sure the bag gets close to the bottom, but does not touch. Adjust the strainer bag if necessary. To use the hop spider simply place it over your boil kettle and drop your hop additions into the PVC reducer. Some people claim that you should increase your hops by 10% when using a hop spider, but I’ve not found any difference in flavor or aroma in my IPAs or other styles of beer. However, you may want to hang the bag of hops over your wort after the boil to let excess wort drip out of the hops and back into your kettle. Now just clean out the hop spider at the end of your boil and store away for your next brew session. 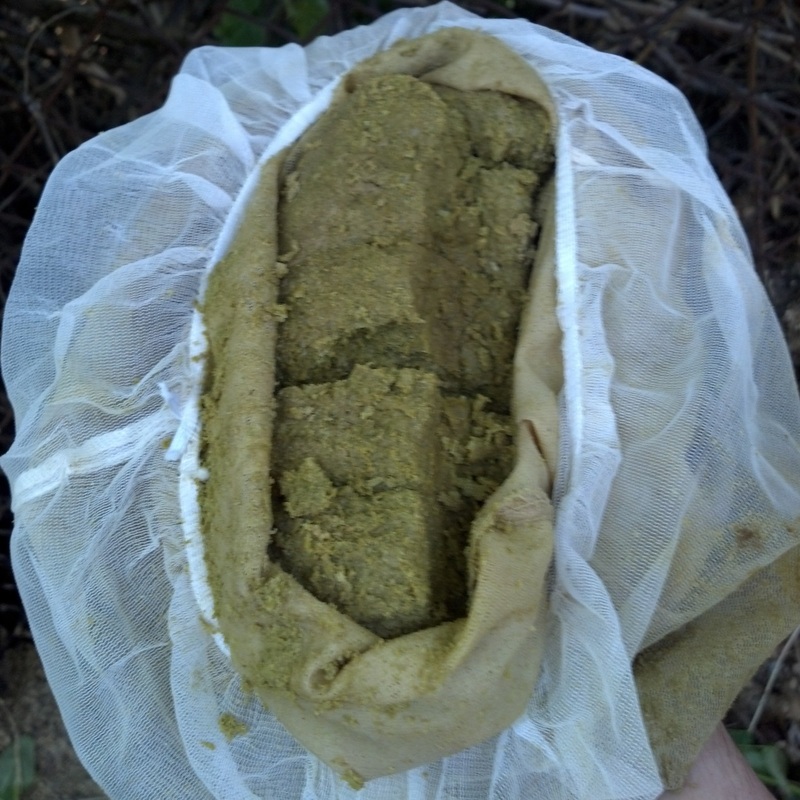 You’ll be impressed at how much hop matter comes out of your wort. Nearly 1lb of “exerpienced” hops that won’t be going into the fermenter. NOTE: As you can see from the first photo my hop spider has been slightly melted and reshaped. I did this to get it as low as I could into my 20 gallon boil kettle without it touching the bottom. You shouldn’t need to do this unless you have a very deep boil kettle.